The city of Minneapolis has called the Downtown East Commons project a “once-in-a-generation opportunity” to design and build a new public open space in downtown Minneapolis. The project is a new 4.2 acre public park located in the center of the new Wells Fargo Towers, residential buildings, light rail station, and the new US Bank Stadium (Home of the Minnesota Vikings) that completes the new Downtown East of Minneapolis. The concrete pavers make up over 21,000 SF of walkways and plaza areas. These areas are a side-by-side combination of permeable pavers and non-permeable pavers. 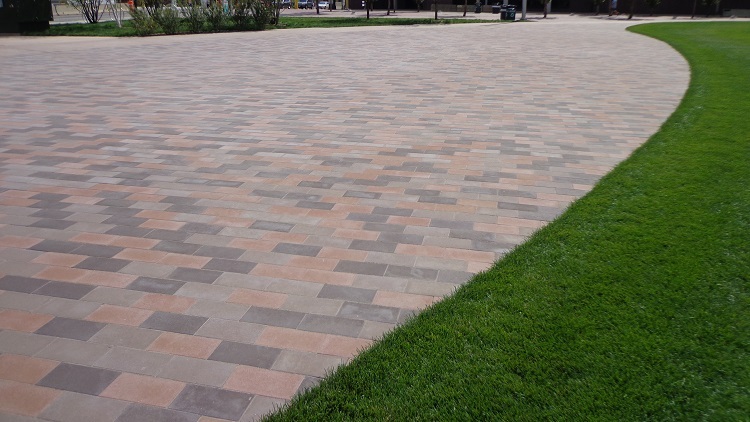 The non-permeable pavers are Belgard Moduline consisting of a three color random blend laid on top of a concrete slab. 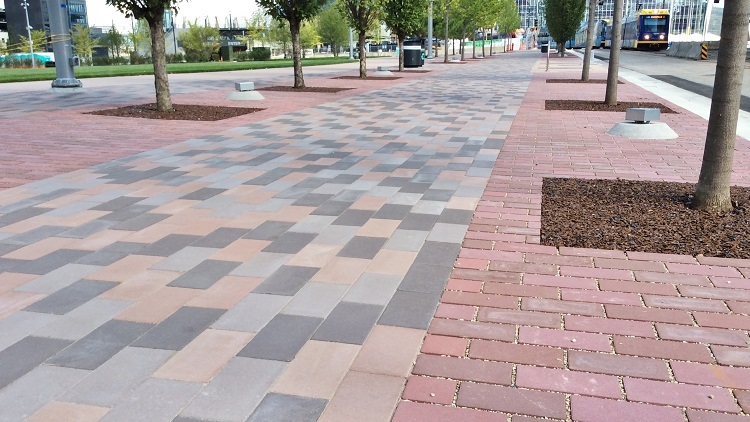 The 80mm Moduline paver was selected to withstand vehicular traffic such as food trucks and large pedestrian traffic. The permeable pavers are Belgard/Anchor Holland pavers consisting of a four color blend of red pavers. 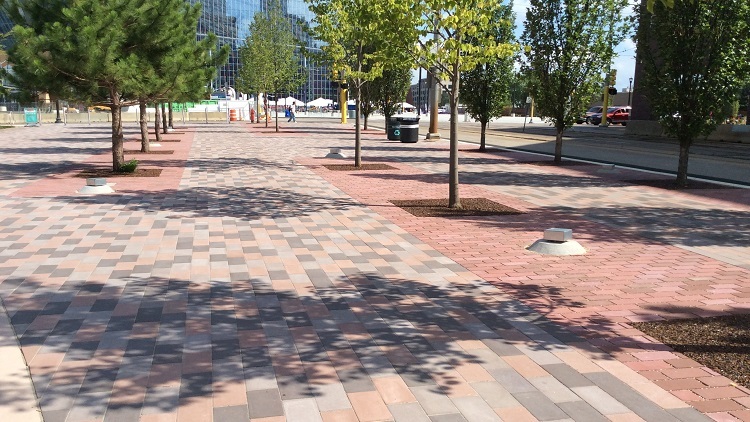 There are over 4,500 SF of permeable pavers and were constructed to go over structural soil so the water feeds trees planted within the walkways. 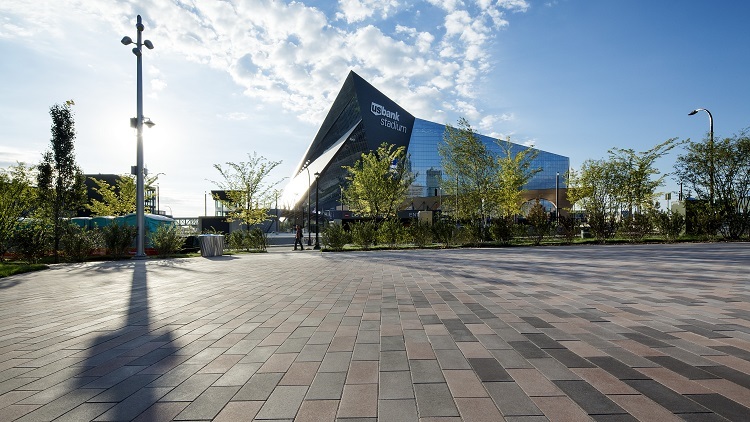 The Commons will serve the people of the Minneapolis region as well as host events connected to US Bank Stadium.